This is the most profound musical proposal of a musician in constant evolution and search for new musical directions. Since "The Pinochet Boys" back in the 80's, where Miguel Conejeros started his unique approach to groove making as the brain of this legendary art-punk band and throughout his oblique jungle and drum n' bass excursion in the nineties, this national treasure always knows how to deliver the unexpected and leave a sweet aftertaste. Nowadays F600 live performances include clubs worldwide and also contemporary art field presentations with sound installations. 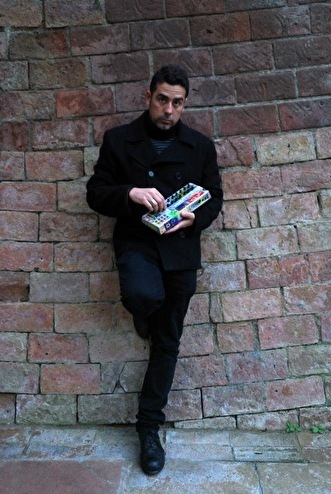 His participation in various music festivals such as Sonar, Mutek, Periferias, LEM, Algorythm and Versus Electronics among others make of F600 a very active producer and DJ, actually working with Nice Cat Records, Panal Records, Clang label, Occultists Label, Patagonia, and collaborations with Epasonidos and Pueblo Nuevo Netlabels.